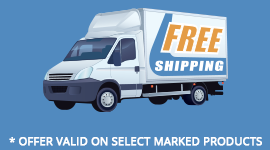 IMPORTANT PACKAGING NOTE: All our Toslink optical cables are packaged and shipped with clear tip protectors to ensure that no dust or other foreign material gets trapped inside the toslink end connection. Before attempting to connect this cable to your equipment, be sure to REMOVE these protective tips. 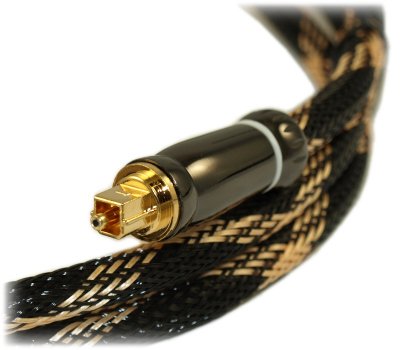 Toslink is a connector format for fiber optic digital audio cables. A fiber optic digital audio cable carries audio data in the form of light impulses instead of electrical signals. 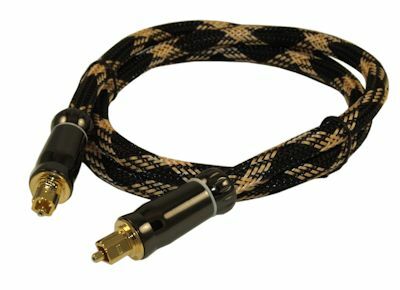 The Toslink connector is a square plug and is used with newer Dolby Digital surround sound receivers, digital versatile discs (DVDs), and compact disk (CD) players, satellite dish receivers, and other devices. Miniplug is another fiber optic digital audio format, similar to Toslink, used for minidisk players and other smaller digital audio devices. Mini-plug adapter IS NOT included for this particular length. NOTE: For most audio systems, you should not hear any difference between a plastic optical cable and a glass quartz optical cable unless your are at lengths exceeding 100 feet and transmitting at extreme bandwidth levels. In fact, the performance with plastic has been improving because the Opto-electrical Components (used in Audio Equipment) are designed to interface with POF fibers.